Preußisch Ströhen lies in the Northeast corner of Kreissynode Lübbecke. "Preußisch (Preussen)" distinguishes Ströhen as Wesphalian (Westfalische) from the nearby Ströhen of Hannover. 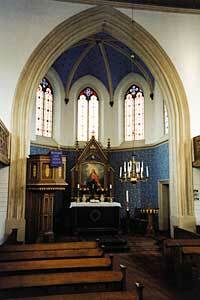 It's a young parish, Immanuelkirche, designated such only in 1847. Prior to 1847, Preußsich Ströhen was a part of Rahden. Some records for people that lived in Oppenwehe are included in these records. 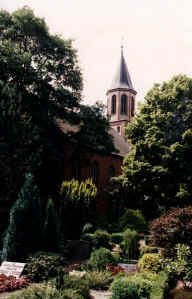 The microfilm records for Preußsich Ströhen can be found at the Latter Day Saints Family History Centers under "Germany, Preußen, Westfalen, Ströhen". Following are the films that are available and their contents. Also available is the Kirchenbuchduplikat, (LDS film 1052104), documents for Preußsich Ströhen, now Ströhen, from Personenstandarchiv Detmold. Includes Tielge & Oppenwehe.